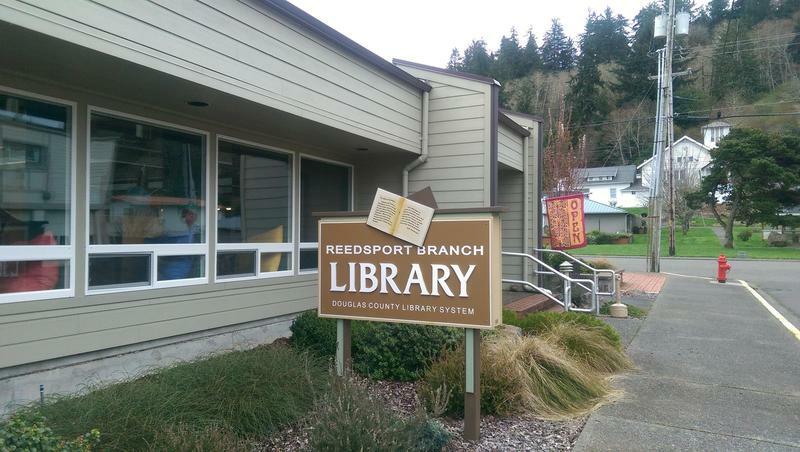 Property taxes will now support the libraries in Reedsport and Drain. Voters in two parts of Douglas County voted to form new library districts in Tuesday's election. Douglas County Measure 10-161 creates a new Lower Umpqua Library District centered around Reedsport, with property taxes to fund library services. Volunteers had kept the Reedsport library open for the last year. Measure 10-162 created a new North Douglas Library District in and around Drain, also with property tax support. Drain's library was the only rural library in the county to remain closed after the county withdrew funding. Both measures passed with votes to spare. The early returns on the Lower Umpqua measure showed Yes leading No, 54% to 46%. The North Douglas measure was cruising, 74% Yes to 26% No. With passage, the election of five board members to each district also counts. Douglas county commissioners put the two library district measures on the ballot, more than a year after withdrawing all county funding support. The passage of the measure in Drain leaves only the former main library in Roseburg closed. And the Roseburg City Council is on the way to taking over that library. The city budget committee set aside funding for the library in the budget, and director interviews were set for this week. Neighboring Jackson and Josephine Counties created library districts in earlier elections, after county governments there also withdrew financial support. A countywide measure in Douglas County failed in November 2016, triggering the shutdown in the spring of 2017.